We were thinking about renting a 4 wheel drive vehicle, but we are so glad we took the tour instead! Rex was a terrific guide. I'm sure we saw much more than we would have on our own. 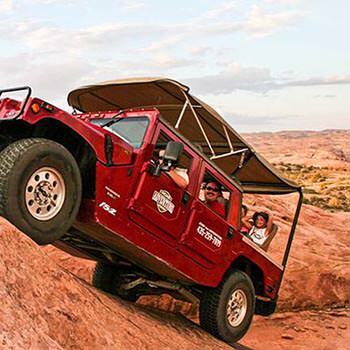 We would definitely recommend the Hummer Slickrock Safari! Laurie helped us get things set-up and did a terrific job! Eric drove our Hummer Slickrock Safari and did an amazing job. Professional, funny, knowledgeable, and caring. He did a great job helping everyone feel comfortable. Thank you for an amazing experience.